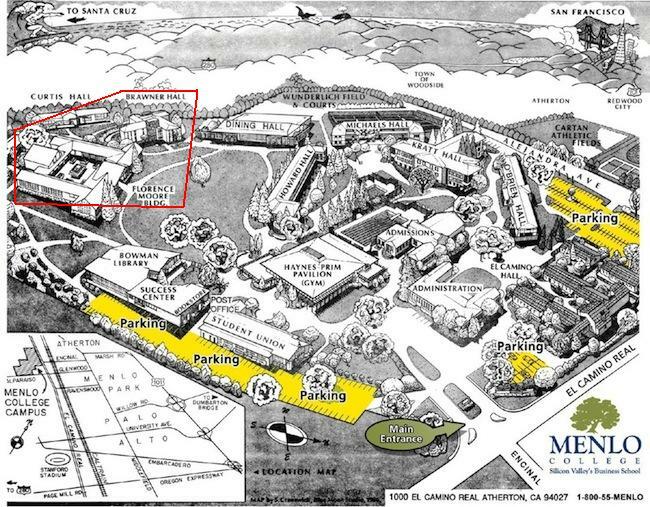 The Istituto Educazione Italiana is housed on the campus of Menlo College, 1000 El Camino Real, Atherton, CA 90427. Classes are held either in the Florence Moore Hall (FloMo, rooms numbered 3xx), or in Brawner Hall (rooms numbered 4xx). A map of the campus is shown below with our two buildings outlined in red. Enrolled students will be notified of the exact room number before the first class meeting.